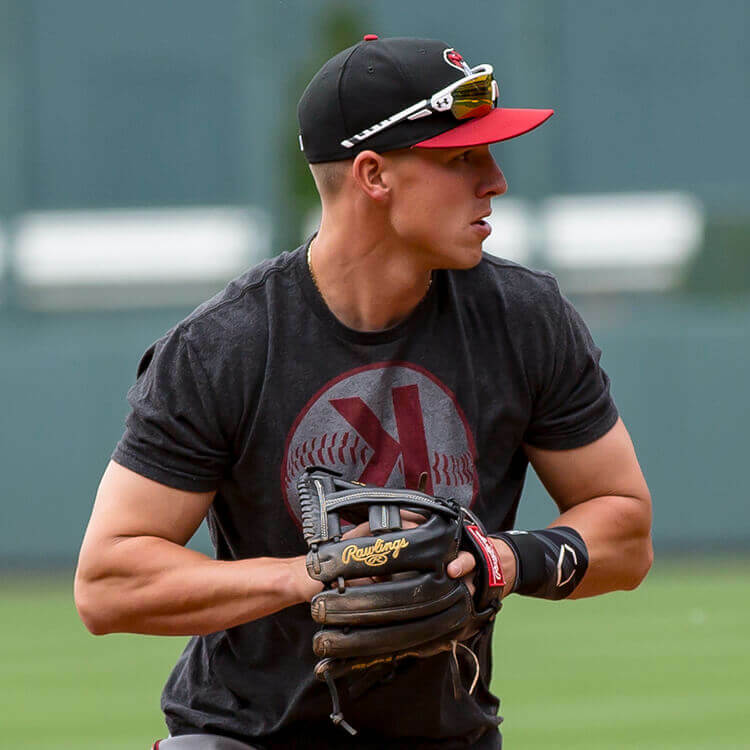 A real beauty, Jake Lamb’s Rawlings single post (or “cross-web”) glove is a 12″ Heart of the Hide PRO12-1JB pattern. The PRO12 is the same pattern worn by division rival 3B Nolan Arenado, though Arenado uses an H-Web where Lamb uses the single post. From a bystanders perspective, the single post makes the pocket look enormous. In our interview with Carlos Correa, Correa notes that he thinks he catches backhands better with the single post. 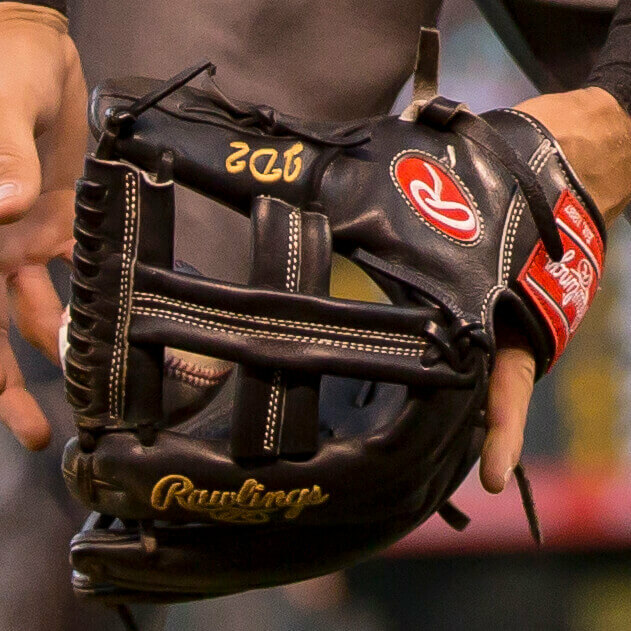 You can’t get Lamb’s exact gamer on the custom builder, but you can get a nearly identical glove at the link. 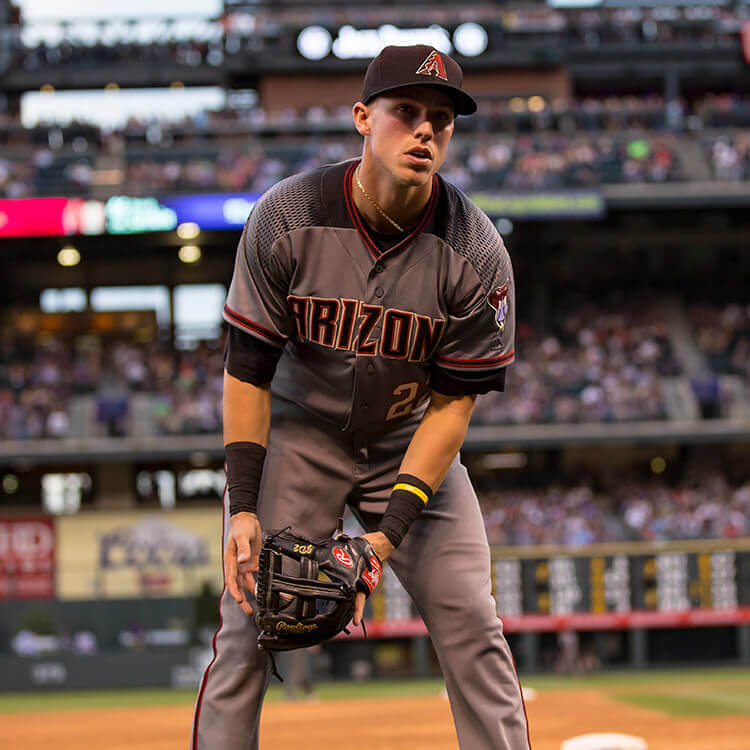 Categories: Arizona Diamondbacks, Jake Lamb, Gear, Glove, Third Base.